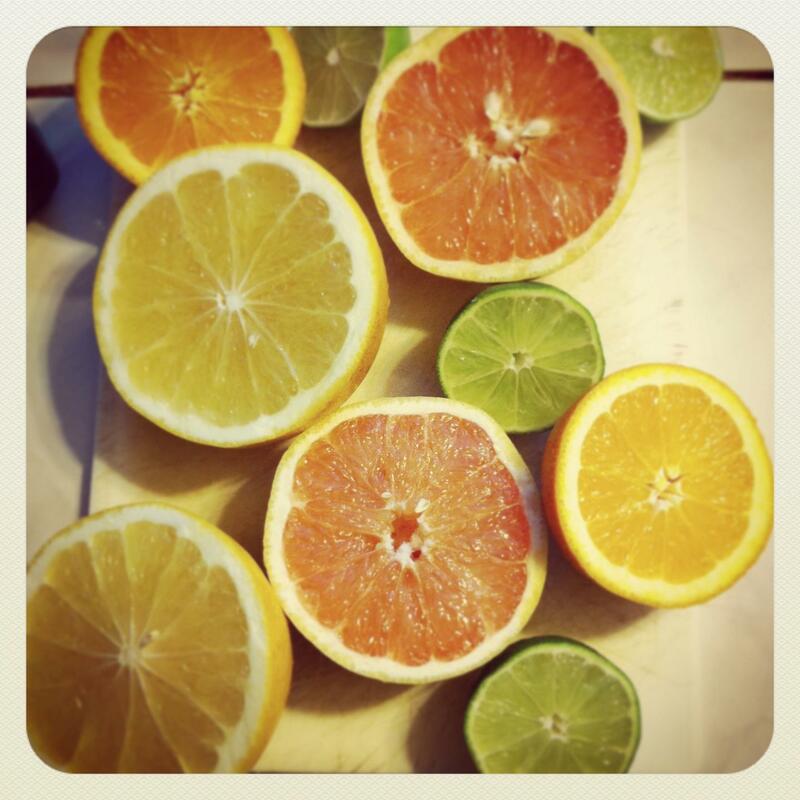 Citrus fruits, like lemon, grapefruit, and orange, are rich in Vitamin C, fiber, flavonoids and ellagic acid. The components are antioxidants, and can enhance detoxification and the immune system. High intake of Vitamin C is associated with a decreased incidence of intestinal cancers and Vitamin C can block the formation of cancer-causing compounds.